Established in year 1998, Aguapuro Equipments Pvt. Ltd have an experience of over a decade we are trusted name in this domain engaged in manufacturing, exporting and supplying a wide gamut of Water Treatment Plants & Allied Equipments. 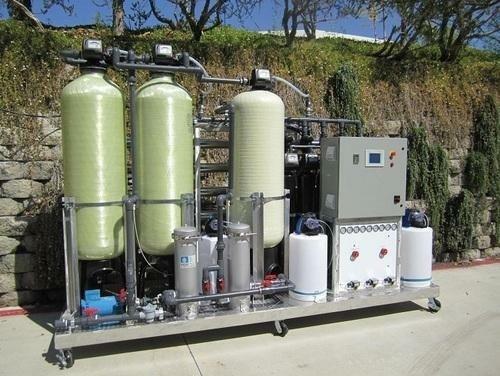 In addition to this, our offered range also includes Sewage Treatment Plant, Submerged Aerated Fixed Film Reactor, Membrane Bio Reactor, Moving Bed Bio Reactor, Packaged Sewage Treatment Plant, Zn - Al Tank System, Packaged Sewage Treatment Plant, Grey Water Treatment Plant, Effluent Treatment Plants, UV Sterilizers, Ozonation System, Industrial RO System. All our offered range of products is known for high functionality, easy installation, low maintenance and optimum quality. These products have solutions for industrial, residential & commercial segments due to our wide experience in the field of water treatment. All these products are fabricated using high quality raw material, advance machinery and latest technology sourced from the trustworthy and reliable vendors of the market. Our organization is equipped with sophisticated infrastructural facilities which enable us to solve our client's problems with an ease. Further, we have appointed a team of diligent professionals which assists us in our different business activities and perform them smoothly. Our team of skilled and experienced professionals ensures that the products are flawless by testing them on various stages on variegated parameters.